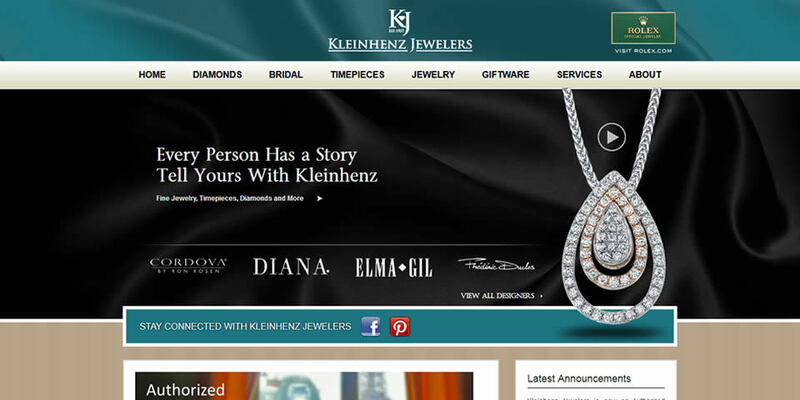 Kleinhenz is one of the most reputable, venerable retailers of fine jewelery in Northeast Ohio. They are a certified Rolex dealer, and they carry more than 20 well respected jewelry lines, including names such as Ritani, Simon G, Christian Bauer, Roberto Coin and their own private label watches. Their Website told a very different story. It was difficult to use, broken in many places and did not in any way reflect the standards Kleinhenz expects of its brand. It was practically unusable from a maintenance perspective as well. We fixed all of that, giving Kleinhenz a complete overhaul and the tools they need to keep their site in top condition.